This reception is also the Gateway Open Studio Tour After Party. Refreshments will be provided by Gourmet by Karen. Curator's Office is delighted to join The 39th Street Art Gallery / Gateway Arts Center in co-promoting an exhibition of noted feminist artist Leslie Holt. In her recent series, Unspeakable, Holt embroiders meticulous line drawings of figures sourced from Pablo Picasso´s famous political war lamentation, Guernica(1937) and its preparatory sketches. Other artistic sources for her figures include the women in Vincent Van Gogh´s Sorrow (1882) and Käthe Kollwitz´s Hunger (1922). Situating these figures on unprimed canvas besides puddles of dripped paint or on blank grounds, Holt imbues the composition´s negative space and the canvas´s very materiality with ghosts of expunged drama. The paint stains are substitute loci of crisis; the embroidered lines are umbilical cords to unseen tragedy. That which is not visible is indeed unspeakable. 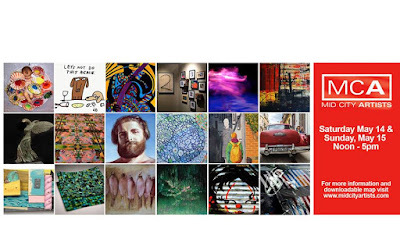 recognized far and wide for her Hello Masterpiece series of paintings. Holt copies instantly recognized paintings in miniature, faithful in all respects to the original, save for the addition of the Hello Kitty character appropriately inserted into the action. Her work is featured in a book that analyzes the Japanese icon as both art and commodity in Pink Globalization: Hello Kitty's Trek Across the Pacific by Christine Yano. a warehouse studio for a small group of independently practicing artists and creative professionals in Mt. Rainier, MD. Leslie has taught studio art, art history and art appreciation on the college level since 2001. She has also worked as a social worker and advocate for people with developmental disabilities, mental illness, and people receiving welfare benefits. From 2009-2012 she served as founding board president and then executive director of VSA Missouri, a statewide organization that promotes access to arts for people with disabilities. In addition to her studio practice, Leslie teaches at Art Works Now in Mt. Rainier, Maryland, Maryland National Capital Park and Planning Commission in Greenbelt, Maryland, and online for Fontbonne University in St. Louis, Missouri. 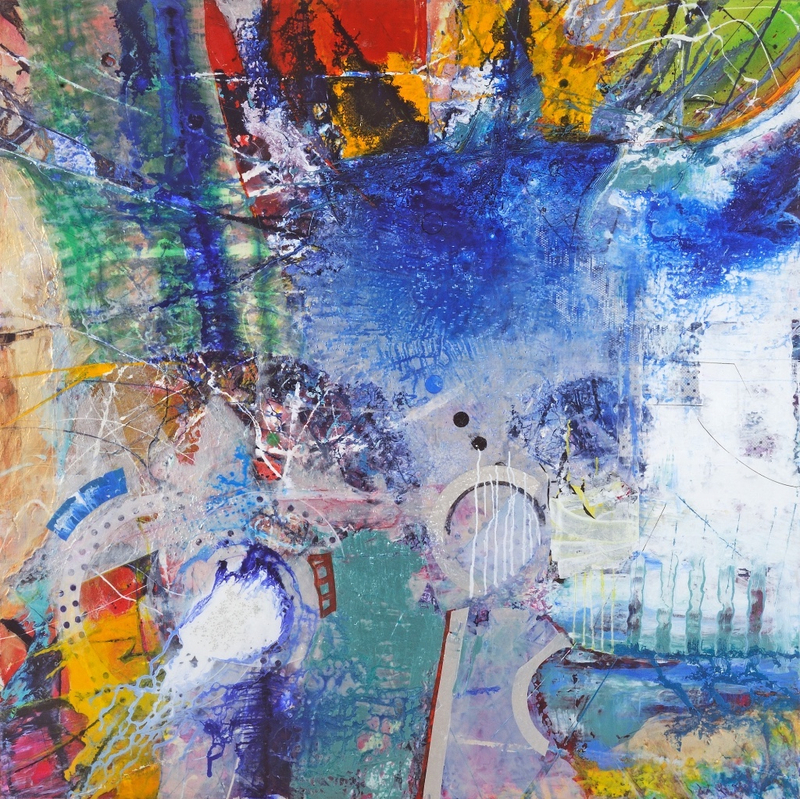 She has exhibited her work nationally and is represented by the David Lusk Gallery in Memphis and Curator's Office in Washington , DC. Prince George's County, Maryland. 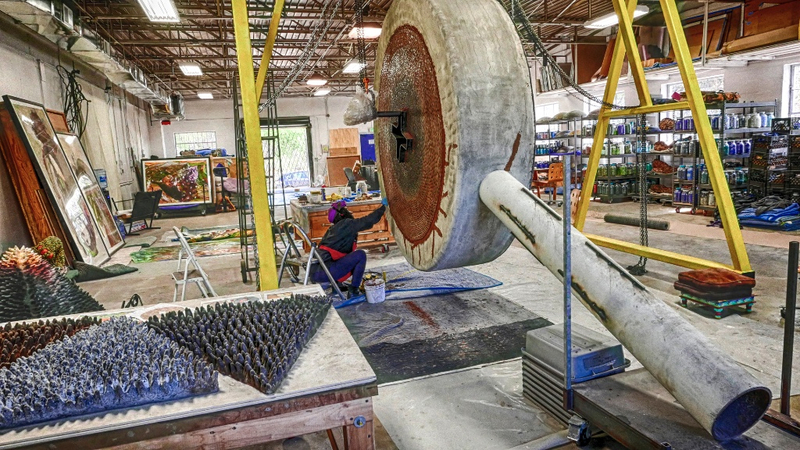 It drives economic revitalization along the U.S. Route 1 Corridor through business and neighborhood development initiatives including promotion of the arts as a community building strategy. Gateway CDC works within the communities of Brentwood, North Brentwood, and Mount Rainier, MD and in collaboration with multiple partners to ensure the success of the entire Gateway Arts District. acrylic and embroidery on canvas, 20" x 16"
Touchstone Gallery, one of the longest-tenured and most highly regarded artist-owned galleries in Washington, DC, will celebrate its 40th year in Washington on May 13th with an Anniversary Gala and May 4-29 member artists show, featuring solo artists, Paula Lantz and Colleen Sabo, and works by former members. The gala and show are open to the public. Touchstone Gallery moved in 2010 to its current location into custom-built space at 901 New York Avenue NW. With street-level prominence, it is the most elegant space to date, and is located between the National Museum of Women in the Arts and the Walter E. Washington Convention Center; it is also just across from CityCenterDC and near three other art galleries. 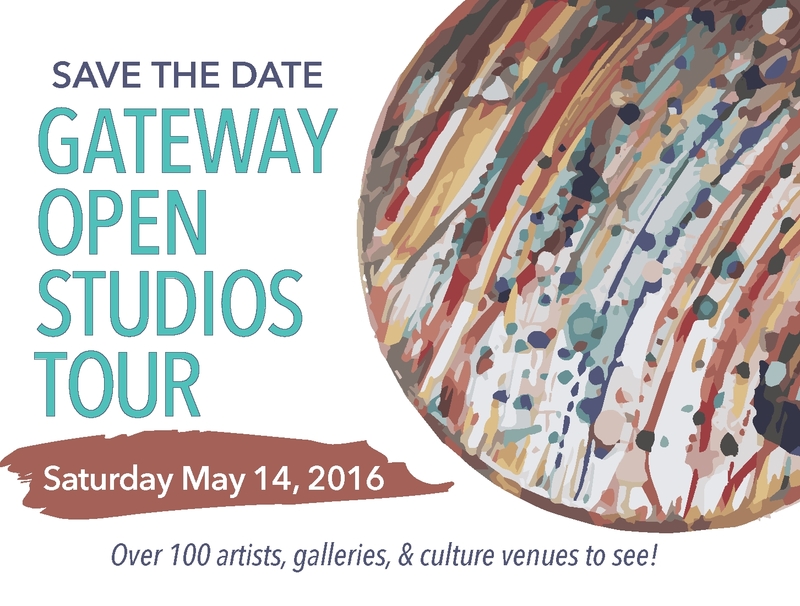 Gateway Open Studios Tour This Saturday, May 14th! #OST2016 will be an exciting and family-friendly event that will include live art demonstrations, kid-friendly activites, and live music performances. 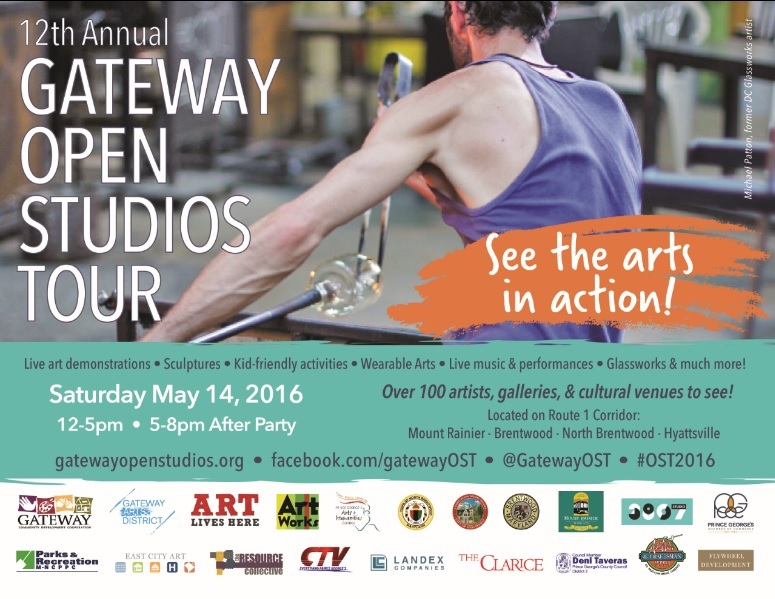 Immediately following the tour will be the official #OST2016 after party and kick-off reception for a new exhibit at the 39th Street Gallery (from 5-8pm inside the Gateway Arts Center). 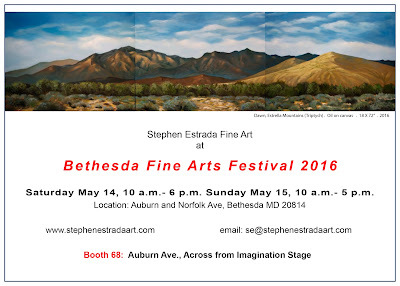 Fine art created by 130 artists, live entertainment and Bethesda restaurants. 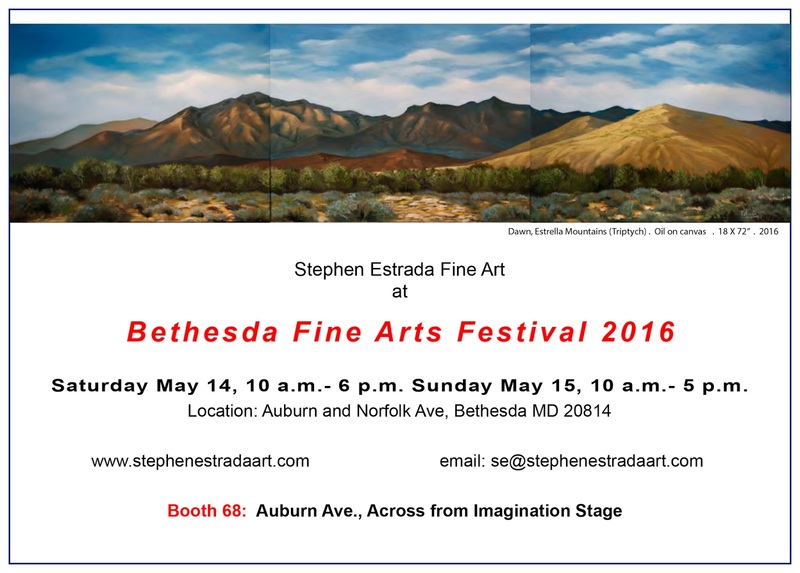 Admission to the Bethesda Fine Arts Festival is FREE. 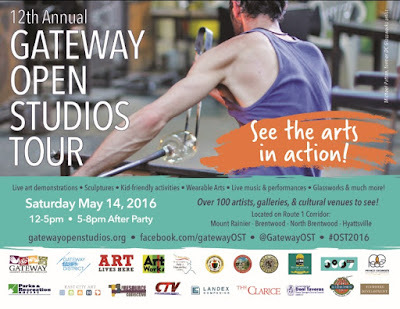 18 artists, who are part of the “Mid City Artists” collaborative, will open the studio doors of their own unique galleries, homes, garages, carriage houses, live/work studios, and studio collaboratives on Saturday May 14, and Sunday, May 15th, from 12-5pm, as part of The Mid City Artists Spring Open Studios Tour. This bi-annual event in DC’s “Mid-City” – in and around the Dupont Circle and Logan Circle neighborhoods – enables art-lovers to connect personally with artists and learn more about how and where they make art. 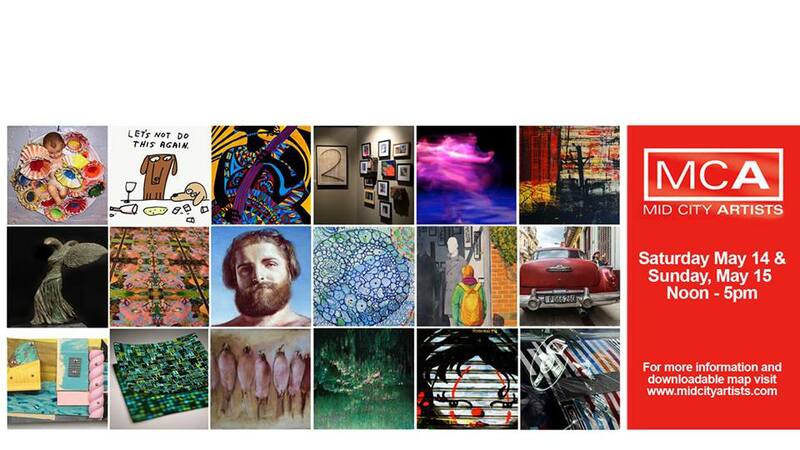 Their diverse works include: drawings, sculptures, paintings, prints, photographs and mixed media. Please join us as we bid adieu to our most celebrated exhibition, Alchemical Vessels 2016! The response to this year's show has been unprecedented, with 123 new and emerging artists, selcted from 15 curators finding inspiration from a silmple cigar box. Come celebrate with the artists, friends, family and colleagues! This event is free and open to the public. There are still a limited number of vessels available! Please contact Emily Fussner for more details.